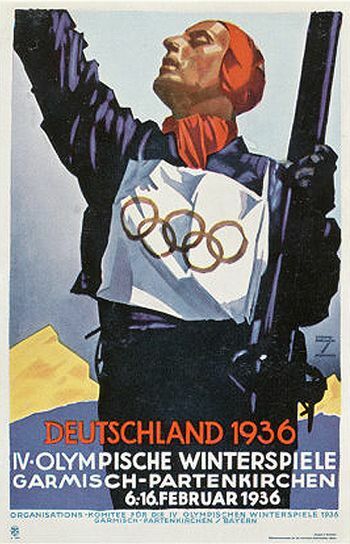 The 1936 Winter Olympics were held in Garmisch-Partenkirchen in far southern Germany. 15 teams took part in a three round format. The First Round saw the teams divided into three groups of four and one group of three teams, with the first two teams advancing to the Second Round. Group A saw Canada and Austria advance over Poland and Latvia. Group B was led by host Germany followed by the United States, with Italy and Switzerland eliminated. In Group C, both Czechoslovakia and Hungary moved on with France and Belgium eliminated, while in Group D, Great Britain and Sweden moved on with Japan falling by the wayside. 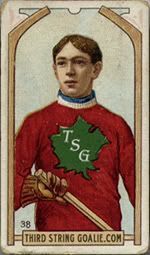 In the Second Round Group A had Great Britain winning with a 2-0-1 record followed by Canada at 2-1, keyed by a 2-1 British win over Canada as Edgar Brenchley scored with 1:30 remaining in the third period, which would have an enormous impact on the final standings. Both Germany and Hungary were eliminated from Group A, while Group B saw the United States advance to the Final Round with a 3-0 record, as did Czechoslovakia at 2-1 with both Sweden and Austria knocked out of the competition. Thus, in the Final Round, four teams met to determine the three medal placings in yet another round robin format, with the medals determined by their final placings in the group standings, rather than a knockout playoff format as is done today. Rather than have Great Britain and Canada, as well as the United States and Czechoslovakia, play again, the rules called for their Second Round results to carry over to the Final Round. Thus Great Britain's surprising 2-1 win over Canada and the United States shut out the Czechs 2-0 gave the winners a leg up entering the Final Round and denied the losers the opportunity for a rematch. 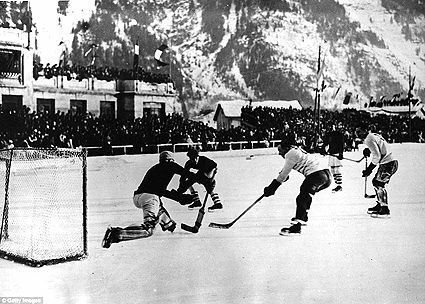 Play began on February 14 as Great Britain assured itself a medal with a 5-0 blanking of the Czechs, who were then thrashed by Canada 7-0 the next day, February 15. Later that same day, Great Britain and the United States waged a scoreless battle that stretched to three overtimes before being scored as a 0-0 tie. 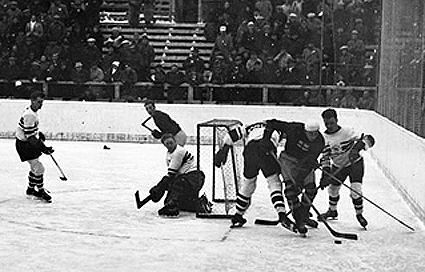 This left Great Britain with 5 points in the standings, with the United States at 3 and their game against Canada remaining on this date in 1936, needing a win to tie for the top spot and a shot at gold through tiebreakers. But it was not to be, as Canada defended a first period goal to defeat a tired United States 1-0 following the Americans six period marathon the day before to relegate the US to third place and the bronze medal. Their win gave Canada the silver at 2-1 and four points, leaving the British alone at the top with 5 points and as gold medal champions for the only time in their history, with the difference being Brenchley's goal during their meeting in the Second Round. 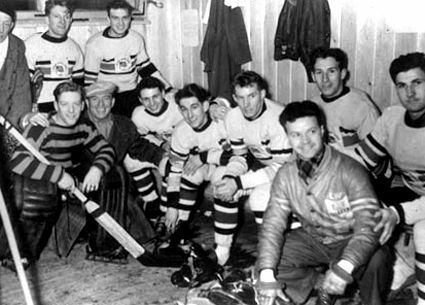 While the British had iced teams in both 1924 and 1928 that were largely comprised of Canadians living in the United Kingdom, in 1936 it was determined that the players must be British-born this time out. Still, nine of the 13 players had grown up in Canada and 11 had played hockey in Canada at some point in their lives. 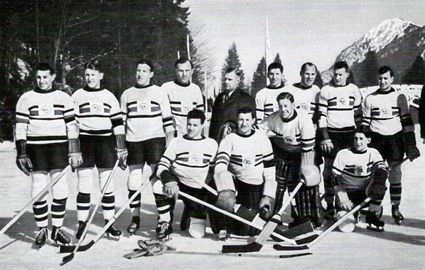 The gold medal for Great Britain marked the first time in the five Olympic hockey tournaments that Canada had not won gold, and to date, some 78 years later, the last medal won by Great Britain in Olympic hockey competition. 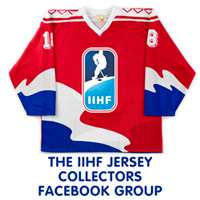 Today's featured jersey is a 1936 Great Britain Jon Coward jersey worn in the Olympics in Germany as the British upset the world of hockey to take their memorable, and only, gold medal in their history. His jersey is on display at the Hockey Hall of Fame in Toronto. 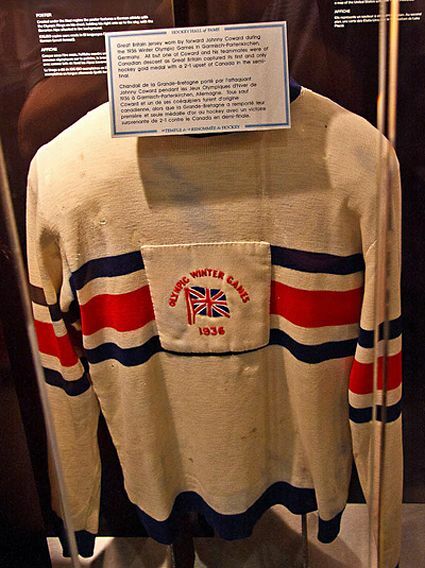 In the early days of international hockey, Great Britain won the European Championship in 1910, won a bronze at the winter Olympics in 1924, took 4th in 1928 and won gold in 1936. Following the resumption of the Olympics following World War II, Great Britain returned for the 1948 games with a 5th place but have since failed to qualify for the Olympics again. This year they won Group J in the Olympic Pre-Qualification Round over South Korea, Japan and Romania, but were eliminated during the Final Qualification Round. 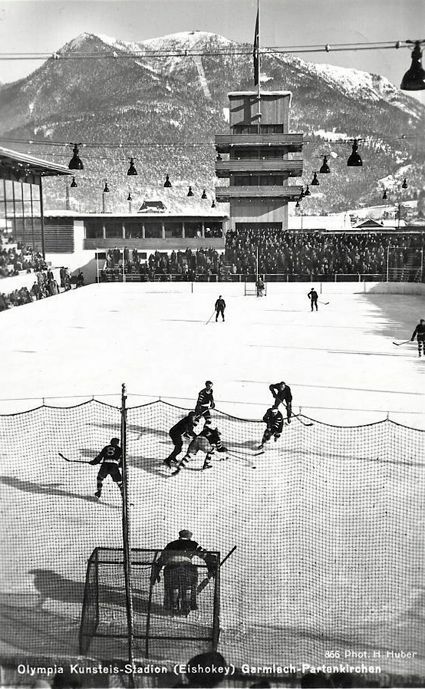 Despite their absence from the Olympics since 1948, the British still compete at the World Championships, currently at the second level of the IIHF ladder system, Division I, Group A. They are ranked 22nd in the world, with their highest placing being 21st in 2011. 1993 was a high point, as they finished first in the B pool, earning their only promotion to the Top Division for 1994, especially impressive when you consider they were in the D pool as recently as 1990, a miraculous rise through the ranks, having won Group D in 1990, Group C1 in 1992 and Group B in 1993! Since that time they competed in the B Pool in 1995 through 2000 and the renamed Division I since then, avoiding relegation for 19 years now. 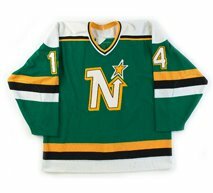 Coward, like many of his teammates in 1936, was born in Great Britain but learned to play hockey while living in Canada. He returned to England in 1935 and joined the Richmond Hawks of the English National League for two seasons. In addition to being a member of the 1936 Olympic team, he was on the 1937 Great Britain National Team that won a silver medal at the 1937 World Championships. 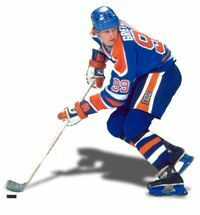 In 1993, he was inducted into the British Ice Hockey Hall of Fame. Today's video selection is some remarkable footage from the United States vs. Canada game, the outcome of which gave Great Britain their surprising gold medal. Here is a great video, which deserves to be seen by more people, Philip Erhardt, the son of gold medal winner and Great Britain team captain Carl Erhardt showing his father's medal and other memorabilia, as well as telling stories of his father's experience in Germany, which was under control of Adolph Hitler and the Nazi party by then. 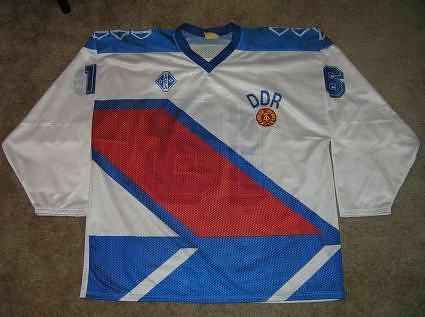 The hockey sticks alone are worth your time, as well as seeing his father's jersey. Simply awesome stuff.